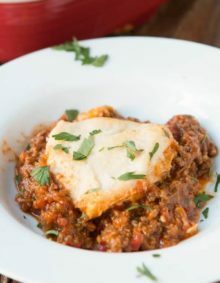 I don’t know about you, but after a crazy, busy holiday my family is desperately in need of an easy, cozy, homemade meal. I am not a huge cream of bla bla bla soup, HOWEVER, this cream of tomato soup is creamy and wonderful. And, as always I have to have some bread to go along with my soup, but I couldn’t resist throwing some cheese on the bread. And, then it ended up that plain bread wasn’t quite good enough so Mr. Handsome went ahead and got some Asiago Cheese Bread. Ok, now my life is complete. So, thank you to the Mr. for pulling off such a fantastic dinner. This soup is super easy to make and I think everyone needs a good comfort meal every now and again. Plus, because I don’t drink nearly enough milk, I have to find other ways to get a little more dairy into my diet. I’m fully aware of how important dairy is and I need the calcium especially. 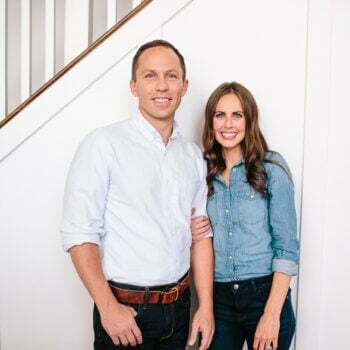 Osteoporosis is not something that I want to deal with, and because I struggle with drinking milk, my mind is always searching for a way to add it into meals. I’m sure that at least half of you are the same, right? Will Tomato Soup Give You Heartburn? Tomato soup has the potential to cause heartburn. Tomatoes are highly acidic and likely to cause heartburn in those who are prone to it. 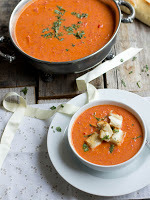 What Tomatoes Are Best For Soup? You can actually use most tomatoes to make tomato soup. There are a couple that are recommended because of their rich flavor and because they are not as seedy and juicy as some others. Roma or plum tomatoes fit in this catagory. But, whatever your favorite tomato is, go ahead and use it! How Long Will Homemade Tomato Soup Keep? Refrigerate tomato soup in a glass container with a lid. Tomato soup will keep 4-5 days in the refrigerator. Place the tomatoes on a baking sheet and drizzle with olive oil, sliced garlic and basil. Roast in the oven at 425 for 30 minutes. Place the tomatoes, basil and garlic in a blender and puree until smooth. Heat a large stock pot over medium high heat and add the tomato mixture. Bring to a boil and immediately turn down to low. Stir in the milk, salt pepper and tomato sauce. Place 1-2 slices of each cheese on the bread and place another slice on top. Butter the top piece of bread. Heat a grill pan or skillet over medium heat. Add the sandwich, butter side down, and cook for 3-4 minutes or until golden. Butter the other slice of bread in the meantime, so that when you flip the sandwich over the butter will create a golden sammy. Flip, cook an additional 3-5 minutes and serve immediately. *I am in a working partnership with the Utah/Nevada Dairy Council, however the opinions remain my own. Thanks for this recipe Carrian, I can’t wait to try it tonight! What tomato sauce would you recommend to use ie. Original ragu ? Sorry, not spaghetti sauce, just regular tomato sauce in the can. Like, Hunts is a good one. Approximately how many beefsteak tomatoes does it take to get the 8 1/2 cups? It depends on how big of a beefsteak you can find. At times I’ve used 5 while other times I could only find small ones and it took about 8. I know that doesn’t help a ton, but it’s so hard to tell because of the size. I’m such a sucker for tomato soup! I love it in any form. I will try this recipe for sure. Thanks! Hi Joy! Ok, so the tricky thing is that the soup will taste a tad different because canned tastes a little more gritty and earthy, and you cannot properly roast a canned tomato. That being said, I’m all about finding a way to make it work since we don’t buy a lot of fresh tomatoes in the winter. So, I’d only buy whole tomatoes since diced etc use lesser quality tomatoes and are processed more. One 28-ounce can of tomatoes equals about 10 to 12 whole tomatoes, peeled, so I’d probably do a tad less than the entire can. Please come back and let me know how it went. I’m so curious to hear! 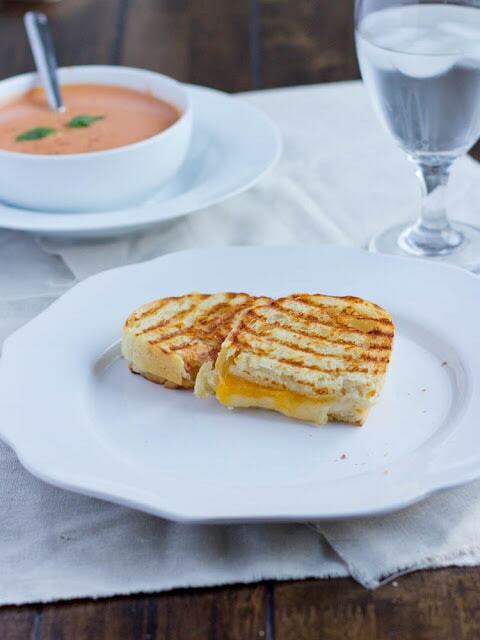 you can never go wrong with this combo…and three cheeses on a grilled cheese yes please. AND i love homemade tomato soup! 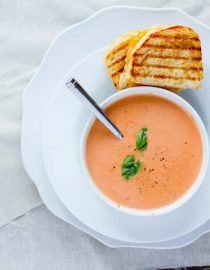 Tomato soup & grilled cheese on a cold winter day is the ultimate comfort food in my book. I think you just decided what I am having for dinner. 🙂 Looks delicious. I can’t think of a more comforting dish. This is pure comfort food to me! The soup looks so creamy and delicious! This sounds like a perfect meal right now. Yum! Such a good comfort food meal. Gotta love the classic grilled cheese and tomato soup meal 🙂 Your photography is so nice! This is one of my most favorite combos ever! Oh goodness. Your Cream of Tomato Soup and 3 Cheese Grilled Cheese are killer combo! I love them. Yes, in deed, so perfect after the busy holiday. 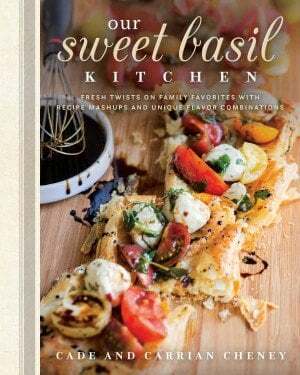 This is totally comfort food to me, any time of the year. 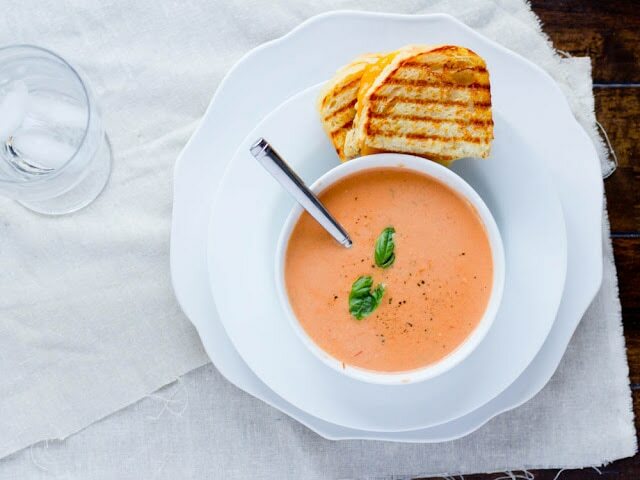 Oh my – is there anything more comforting than the combo of tomato soup and grilled cheese?! I really wish I could have this for lunch! 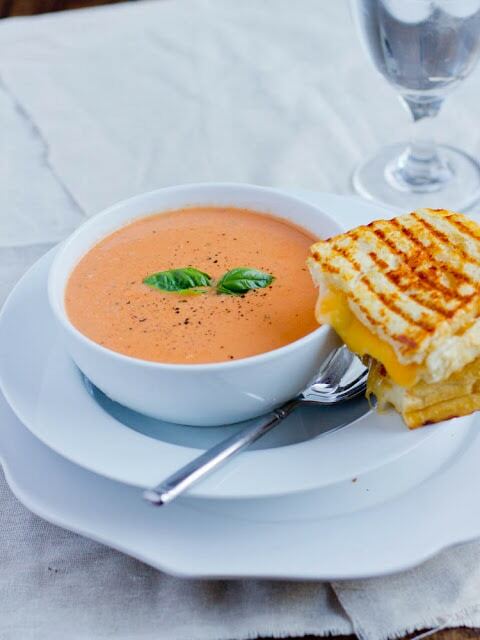 Grilled cheese and tomato soup are meant to be together foreverrrrr. LOVE that this soup is homemade and looks so creamy and delicious! I dunno, I may need to add cookies on to the meal too. I know, who can resist?! Ingredients read “Milk”, directions read “Heavy Cream”? Trina! You saved me! 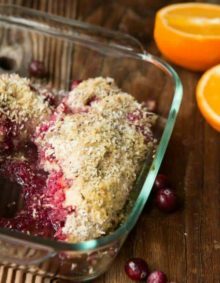 When I first made this recipe I used heavy cream, then I wondered if I could “healthify” it and I forgot to change the heavy cream. I fixed it. Thank you so much!! 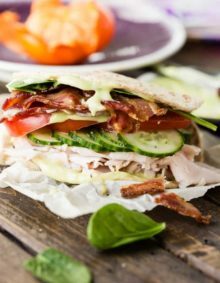 This is probably one of my husband’s favorite meals! And mine too…can’t get more yummy and comforting! I like to add some white beans to the soup, then puree it so it’s smooth. 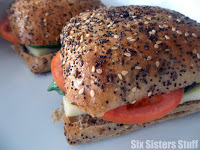 Lots of creamy richness without too much added fat! What?! Why didn’t I think of that! I totally need to try it your way.